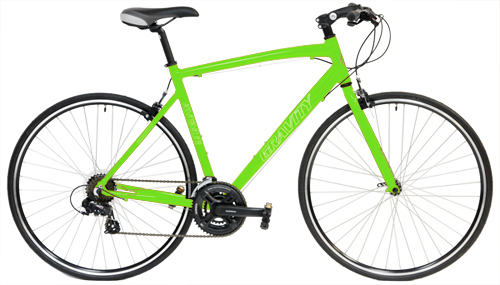 The new 2019 Gravity Avenue FX is just the bike for the rider wanting the performance of an aluminum frame, wide gearing, comfortable upright riding position and dealing with a budget. The Avenue frame is precision welded from specially shaped lightweight and strong aluminum tubing. The tubing is Gravity's own special RSeries tube-set. Look at the engineered, hydroformed top tube and bi-oval downtube. This is designed for a responsive performance while maintaining a comfortable ride quality. The frame is a semi-compact geometry which allows for a bit more comfortable and upright position yet is still aero-enough for some serious riding. 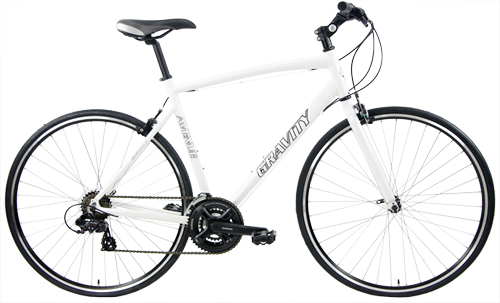 Compare this bike to the Treks or Giant Hybrid and Fitness Bikes around $799 plus tax. 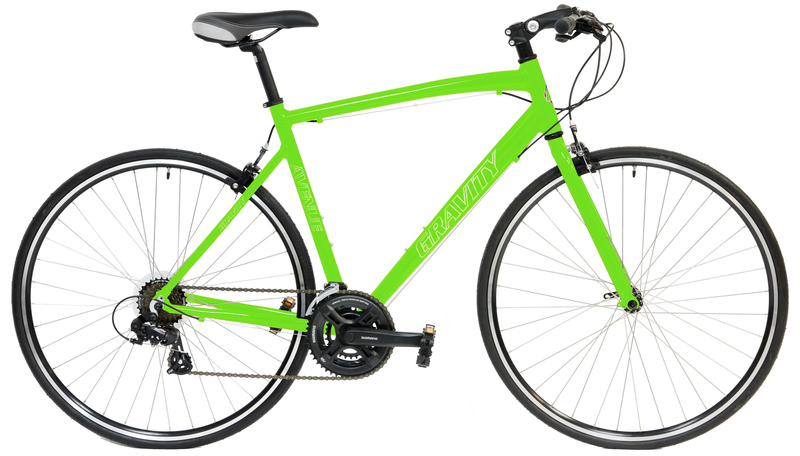 Many have straight blade forks and aluminum frames, many have semi-compact frames. Many have similar drivetrains. Why pay more than double? 43cm fits 5'1" to 5'3"
46.5cm fits 5'3" to 5'5"
50cm fits 5'6" to 5'8"
53.5cm fits 5'9" to 5'11"
55.5cm fits 6' to 6'2"
58.5cm fits 6'3" to 6'5"
Compact frame geometry makes sizing much easier because of the sloping toptube and lower standover height, it’s easier for riders of all sizes to dial in the perfect fit. With greater adjustability and up to six sizes per series, even pro athletes—who range from 5-foot females to 6-foot-5 males—happily ride stock-size frames just by sizing off of their height. So all a rider needs to do is match their height with the corresponding compact frame size and they will have a bike that fits like a glove.